The concept of schizophrenia can be difficult to understand. The presentation of schizophrenia can be extremely varied, with a great range of possible symptoms. There are also many misconceptions about the condition of schizophrenia that have led to prejudice against sufferers of the illness. People with schizophrenia are commonly thought to have low intelligence and to be dangerous. In fact, only a minority shows violent behaviour, with social withdrawal being a more common picture. Up to 10% of people with schizophrenia commit suicide. Two systems for the classification of schizophrenia are widely used: the Diagnostic and Statistical Manual of Mental Disorders. Between 60% and 80% of patients who suffer from an acute psychotic illness will suffer further illness and become chronically affected. For these patients the diagnosis of schizophrenia can be applied. If this disease progresses, there may be relapse of acute symptoms but the underlying condition get worse because of lack of drive, social withdrawal and emotional apathy. Such symptoms are sometimes called negative symptoms and respond poorly to most antipsychotic drugs. Although the cause of schizophrenia remains unknown, there are many theories and models. The vulnerability model describes the persistent characteristic of schizophrenia but the vulnerability to the development of such episodes of the disorder is dangerous. The episodes of the illness are time limited but the vulnerability remains, awaiting the trigger of some stress. The developmental model postulates that there are critical periods in the development of neuronal cells which, if adversely affected, may result in schizophrenia. Two such critical periods are postulated to occur when migrant neural cells do not reach their goal in fetal development and when supernumerary neural cells slough off at adolescence. The ecological model postulates that external factors involving social, cultural and physical forces in the environment, such as population density, individual space, socioeconomic status and racial status, influence the development of the disorder. The genetic model explains that undoubtedly a genetic component is related to schizophrenia, with a higher incidence in the siblings of schizophrenics. 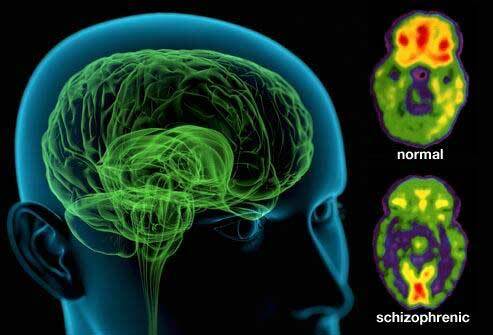 The suggestion that schizophrenia is caused primarily by an abnormality of dopamine receptors and, in particular, D2 receptors, has largely emerged from research into the effect of antipsychotic drugs. Such a theory is increasingly being questioned. Numerous other factors have been implicated in the development and cause of schizophrenia. These include migration, socio-economic factors, perinatal insult, infections, season of birth, viruses, toxins and family environment. There is a wide range of antipsychotic drugs available for the treatment of a psychotic illness. Although most antipsychotic drugs are equally effective in the treatment of psychotic symptoms, some individuals respond better to one drug than another. There is also controversy among long people should remain on an antipsychotic drug following their first acute illness. Some would argue that, if the prognosis is poor, long-term therapy should be advocated. Others would want to see a second illness before advocating long-term therapy. Although a variety of social and psychological therapies are helpful in the treatment of schizophrenia, drugs form the essential cornerstone. The aim of all therapies is to minimise the level of handicap and achieve the best level of mental functioning. Drugs do not cure schizophrenia and are only partially effective at eradicating some symptoms such as delusions and negative symptoms. At the same time, benefits have to be balanced against side effects and whether the need to suppress particular symptoms is important.